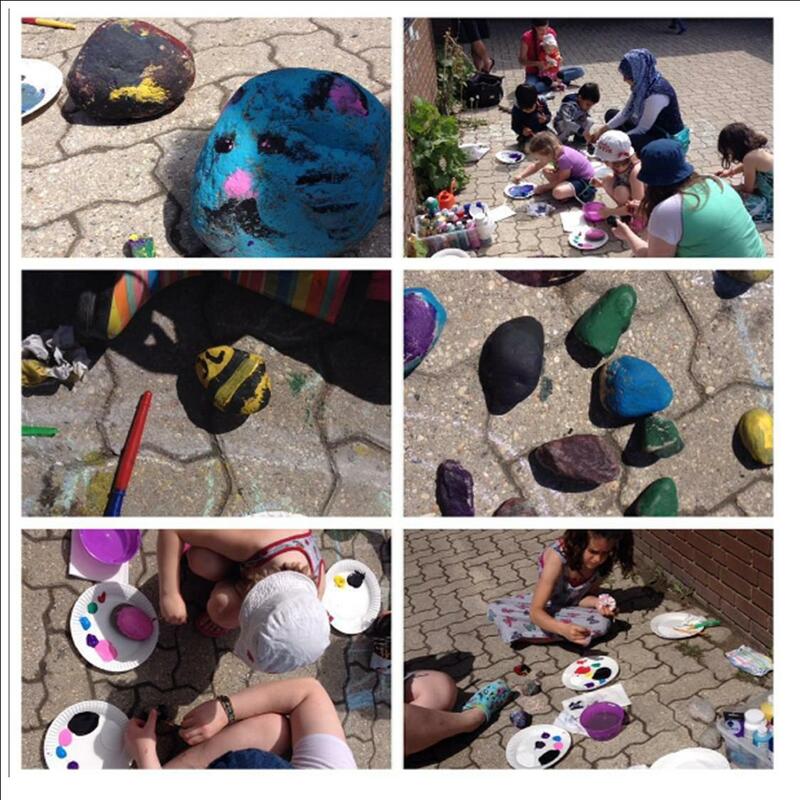 In June 2016 we had a rock painting workshop outside of the Library for kids. We asked kids to bring their own rock and we used paint and juice boxes leftover from other programming so this program did not cost the Library any money directly. We did this on a Saturday afternoon and the sun was shining and while we gave kids examples of what they could paint on their rocks, most of them came up with their own designs.